This 25-year-old Broken Arrow, Oklahoma, native started his kettlebell training in 2015 as an undergraduate in health education, kinesiology and exercise science at Oklahoma State University. Raphael started out teaching himself through RKC and Pavel Tsatsouline books and videos. But he really got serious in 2017 when he started working with an Oklahoma-based kettlebell expert and Strong First Team Leader, Dustin Rippetoe. “I realized this way of training is sustainable and super fun,” Raphael says. While he had been using kettlebells in his personal training practice since 2015, Raphael knew he wanted–and needed–to learn more. 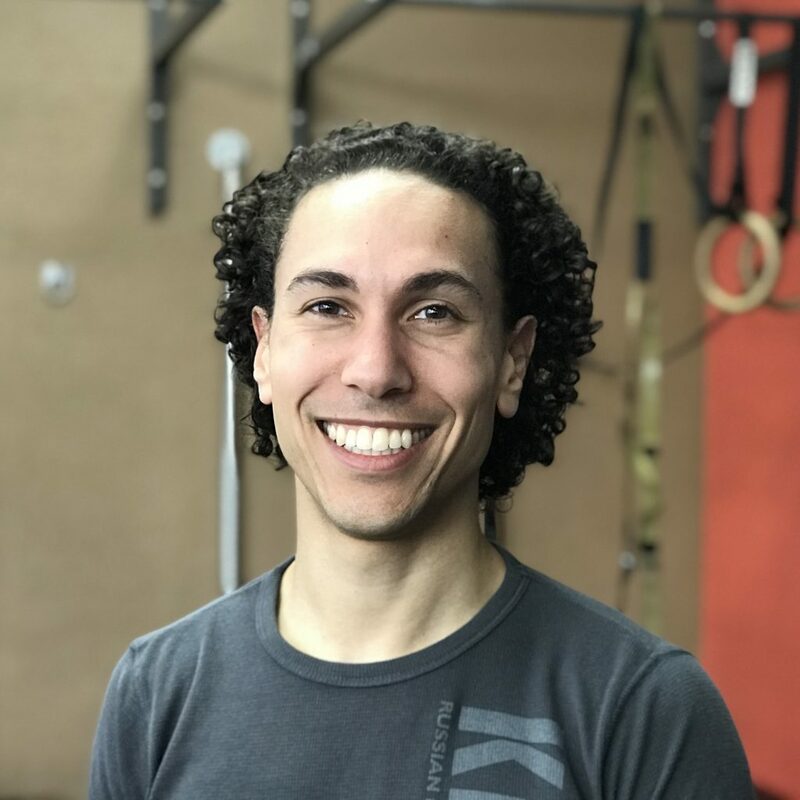 After moving to Seattle in 2017, Raphael connected with Kettlebility’s Andrea U-Shi Chang through Dustin and now is training for his SFG1 certification. The son of two nurses, Raphael says his desire to help others with health, fitness, and wellness grew out of the family culture. Before joining Kettlebility in 2018, Raphael worked with corporate clients on injury prevention and exercise prescriptions, including running umpteen FMS screens. As a baseball player through high school, Raphael has experienced firsthand the restorative power of the bell. He says he didn’t take warming up and cooling down seriously as a baseball player. As a result, the right shoulder of his throwing arm, his neck, his hips all got chronically tight through most of high school and college. Once he started “training smart” with kettlebells, TRX and the like, that tightness was no longer a chronic issue. Random fun fact about Raphael: He got to pilot the American Ninja Warrior course for NBC in Oklahoma City. And he was Personal Trainer of the year in 2015 and 2016 at Oklahoma State University’s Department of Wellness. Raphael’s certifications include ACE Certified Personal Trainer, FMS Level 1, GFM 1, SCW Fitness Yoga 2, American Heart Association BLS CPR AED.